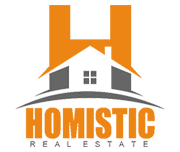 Homistic Real Estate, Inc. is an independently owned corporation which immediately started to formulate advanced marketing and growth strategies to separate the company from any other real estate brokerage. The company has continuously worked to utilize the great attributes acquired by experience in real estate and develop those strategies to even higher professional standards. Maintaining the reputation and integrity of our clients is the repetitious priority of all affiliates of the company. Our realtors are effectively educated on how to continuously go above and beyond client expectations while always possessing the utmost qualities of high ethical standards of practice. Realtors that work with Homistic Real Estate, Inc. are consistently trained with continuing education, direct supervision, and expertise in order to stay current with changing market conditions. Our clients are given constant specialized services and a reliable professional to support them through every step of every transaction. Our realtors are given competitive and opportune profitable working atmospheres. These competitive business strategies will not only ensure the long-term careers of our licensed realtors, but will also ensure the longevity of consumer loyalty.